Wine & words provides professional, high-quality and multilingual wine writing, training and consultancy – with a sparkle. Kristel Balcaen – Wine Lady of the Year 2018. Photo: Joris Luyten. Wine & words was founded in 2015 by Kristel Balcaen, MA in Linguistics and Literature, Certified Sommelier from the Flemish Wine Academy, WSET Advanced Certified and Sommelier-Conseil from the Université du Vin in Suze-la-Rousse, France. Kristel is the current Champagne Ambassador for Belgium and won silver in the most recent European Champagne Ambassador finals, which earned her the additional title of Vice-lauréat du concours des Ambassadeurs du Champagne 2018. 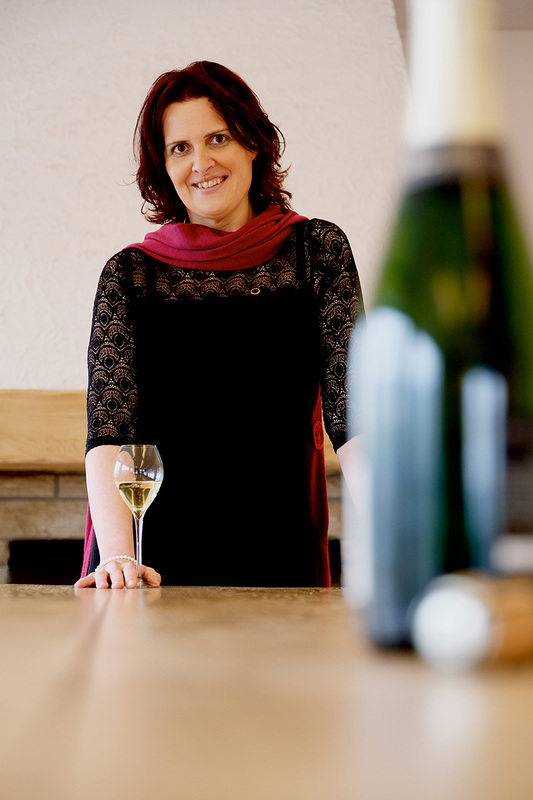 In March 2018 Kristel was elected as Belgium’s Wine Lady of the Year, and in October she received the honour of being intronised as Dame Chevalier in the Ordre des Coteaux de Champagne. With 20 years of experience in higher education, writing, communication and international cooperation, Kristel has been working with students, clients, partner organisations and businesses all over the world. She has been a speaker at many international conferences and events, and writes articles on a wide range of topics. Her passion for wine and the pleasures of good food continue to lead her in new directions. She currently teaches the new generation of sommeliers at the Flemish Wine Academy, is the wine columnist for the popular Flemish food blog De Tafel van Tine, a member of the editorial board of Ken Wijn-magazine, ‘wine mistress’ at Commandery Caudalie and a judge in wine tasting panels. In her spare time, she is writing a book on her absolute favourite topic: wine aromas and the role of herbs and spices in food and wine pairing.